Committee Members - QCR Holdings, Inc.
CC Donna J. Sorensen, J.D. 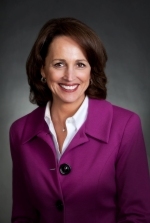 Donna J. Sorensen is President of Sorensen Consulting, a management consulting and executive coaching firm. Ms. Sorensen earned her undergraduate degree from Marycrest College and her Juris Doctorate degree from the University of Iowa College of Law. She has twenty years of prior experience in trust and investment management serving as Executive Vice President Institutional Trust for U.S. Bank (formerly Firstar Bank). Ms. Sorensen has served on numerous nonprofit boards over the years and is currently a board member of the University of Iowa Obermann Center for Advanced Research, Kirkwood Community College Foundation Investment Committee and the Greater Cedar Rapids Community Foundation Agency Investment Advisory Council, and is a member of the Iowa State Bar Association. She has been a director of Cedar Rapids Bank and Trust since 2002, and she currently serves as Chair of its board, as well as serving on its Loan and Wealth Management Committees. We consider Ms. Sorensen to be a qualified candidate for service on the board and the committees she is a member of due to her experience as the President of a consulting firm in Iowa City, Iowa, her prior banking experience and her education and training as an attorney. Douglas M. Hultquist is a Certified Public Accountant (inactive) and previously served as a tax partner with two major accounting firms. He began his career with KPMG Peat Marwick in 1977 and was named a partner in 1987. In 1991, the Quad Cities office of KPMG Peat Marwick merged with McGladrey & Pullen. 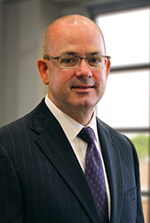 Mr. Hultquist served as a tax partner in the Illinois Quad Cities office of McGladrey & Pullen from 1991 until co-founding QCR Holdings in 1993. During his public accounting career, Mr. Hultquist specialized in bank taxation, taxation of closely held businesses, and mergers and acquisitions. He received his undergraduate degree from Augustana College in Accounting and Economics in 1977 and in 2009 received an Honorary Doctorate degree from the college. Mr. Hultquist served on the board of directors of the PGA TOUR John Deere Classic and was its chairman for the 2001 tournament. He is a past chairman of the Augustana College Board of Trustees, past president of the Quad City Estate Planning Council, past finance chairman of Butterworth Memorial Trust, past board member of the Illinois Bankers Association, and past board member of United Fire Group, Inc., and past chair of its Risk Management Committee. He is a member of the Quad Cities Chamber of Commerce board of directors and Executive Committee and past chair of its board. He is a board member of the Rock Island County Children’s Advocacy Center and participates in Big Brothers/Big Sisters. 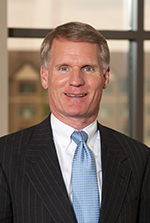 Mr. Hultquist also serves as a director of Quad City Bank and Trust, Rockford Bank and Trust, and m2 Lease Funds. Mr. Hultquist received the 1998 Ernst & Young “Entrepreneur of the Year” award for the Iowa and Nebraska region and was inducted into the Quad Cities Area Junior Achievement Business Hall of Fame in 2003. He is also a member of the American Institute of CPAs and the Iowa Society of CPAs, and was selected as the Iowa Society of CPAs’ Outstanding CPA in Business and Industry for 2011. Mr. Hultquist was also recognized as a 2015 Male Champion of Change Honoree by Women’s Connection and the 2016 Mardi Gras King by Junior Board of Rock Island. George T. Ralph III is the founder of GTR Realty Advisors, LLC. This commercial real estate company was established in 2006 and specializes in development, redevelopment and related financing alternatives. 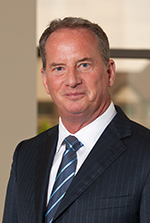 Prior to founding GTR, Mr. Ralph was Chief Financial Officer of Erickson Associates, Inc., a full-service commercial real estate company based in Rockford, Illinois, and also served as President of GTR Mortgage Services, Inc., an affiliated company specializing in commercial real estate finance. During his 10-year stay with the company, Mr. Ralph’s duties included ascertaining the economic feasibility of all new development projects, preparing all new project proposals for negotiation with prospective clients, negotiating lease agreements, arranging interim construction financing for new projects and permanent financing for completed projects. From July 1984 until joining Erickson in June 1996, Mr. Ralph was actively employed in the commercial mortgage banking industry in Chicago, Illinois. During his time in this industry, he was engaged in all aspects of the business including the traditional third party placement of income property loans, direct lending in the form of interim construction loans, gap financing and permanent loans and managing loan servicing portfolios for third party institutional investors. In carrying out these duties, he was responsible for selling participating interests in direct loans to various institutional investors as well as negotiating multi-million dollar revolving lines of credit with several major lending institutions. Prior to entering the mortgage banking industry in 1984, Mr. Ralph was employed by Price Waterhouse in the company’s Chicago office. He joined the company following graduation from college in 1981 and advanced to Senior Accountant before leaving the company in 1984. During his time with Price Waterhouse, he was a member of the general audit staff that provided audit services to large corporate clients. Mr. Ralph earned a B.S. in Accounting from Illinois State University and is a Certified Public Accountant. He has served on numerous nonprofit boards over the years and is currently a member of the board of directors of Carpenter's Place, a Rockford based organization providing individual case management services to the the homeless. He has been a director of Rockford Bank and Trust since 2009, and currently serves as Chair of its board, as well as serving on its Loan and Asset/Liability Management Committees. We consider Mr. Ralph to be a qualified candidate for service on the board and the committees he is a member of due to his experience as a real estate developer and mortgage banker in the commercial real estate industry throughout the Midwest including Rockford, Illinois, one of our market areas, his knowledge of the business community in this area and his education and training as an accountant. John-Paul E. Besong is a former Senior Vice President of e-Business and Chief Information Officer for Rockwell Collins, a Fortune 500 company based in Cedar Rapids, Iowa, that provides aviation electronics for both commercial and military aircraft. He was appointed Senior Vice President and Chief Information Officer in 2003. 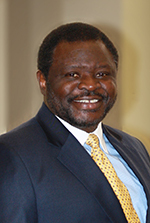 Beginning in 1979, when he joined Rockwell Collins as a chemical engineer, Mr. Besong held management roles having increasingly more responsibility within the company including, vice president of e-Business and Lean ElectronicsSM, head of the SAP initiative and Director of the Printed Circuits and Fabrication businesses. Mr. Besong serves on the boards of directors of United Fire Group, Junior Achievement (Cedar Rapids area), Mercy Medical Center, Iowa Public Television Foundation and Technology Association of Iowa (TAI) CIO Advisory Board, and is a former director of Lean Aerospace Initiative (LAI). He also serves as a member and former chair of the executive board of TAI. We consider Mr. Besong to be a qualified candidate for service on the board and the committees he will be placed on due to his business acumen and distinguished management career as an officer and information technology expert of a Fortune 500 company. Linda K. Neuman is a retired member of the Iowa Supreme Court, having served as a trial and appellate judge for more than twenty years. She holds undergraduate and law degrees from the University of Colorado as well as a Masters in Law degree from the University of Virginia College of Law. 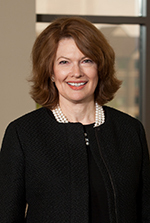 Prior to her service in the judiciary, Ms. Neuman was a partner in the Davenport, Iowa law firm of Betty, Neuman & McMahon PLC, and served as Vice President and Trust Officer at the former Bettendorf Bank and Trust Company (now Wells Fargo). She is certified in mediation and arbitration, the current focus of her private practice. Ms. Neuman is a member of the adjunct faculty of University of Iowa College of Law, where she pioneered its judicial extern program and has taught courses in professional ethics and appellate practice. She has been active in statewide and national professional and civic organizations including the American Bar Association, National Association of Women Judges, Uniform Laws Commission, Iowa State Bar Association, Quad Cities United Way and DavenportOne. She is a past President of the American Academy of ADR Attorneys. She served two terms on the board of directors of Royal Neighbors of America, a fraternal benefit and financial services organization headquartered in Rock Island, Illinois, where she chaired the governance committee and served on the audit and investment committees. She is a director on the board of the Community Foundation of the Great River Bend and a trustee, emeritus, of St. Ambrose University. Since 2008, Ms. Neuman has been a director of Quad City Bank and Trust where she currently serves as Vice Chair of its board and a member of its Wealth Management Committee. In 2009, she was honored with a Quad City Athena Business Women’s Award, in 2013 received the Iowa State Bar Association’s President’s Award and, in 2015, she was inducted by Gov. Terry Branstad into the Iowa Women’s Hall of Fame. We consider Ms. Neuman to be a qualified candidate for service on the QCR Holdings board based on her legal and judicial background, her experience with other financial services organizations, and her commitment to civic and professional organizations within our market area. 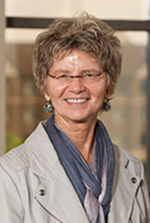 Marie Z. Ziegler is a retired Vice President and Deputy Financial Officer of Deere & Company. In this role, she had responsibility for Deere’s global treasury, pensions and investments, and investor relations. Prior to this, Ms. Ziegler was Deere’s Vice President and Treasurer. She joined Deere & Company in 1978 as a consolidation accountant and held management positions in finance, treasury operations, strategic planning and investor and banking relations. Ms. Ziegler is a 1978 graduate of St. Ambrose University, with a bachelor of arts in accounting. She received her Certified Public Accountant designation in 1979 and an MBA from the University of Iowa in 1985. Ms. Ziegler is on the board of trustees for the Two Rivers YMCA (Moline, Illinois) and the board of UnityPoint Health-Trinity. Ms. Ziegler is a past member of the University of Iowa College of Business’ Tippie Advisory Board, Unified Growth Strategy Committee of the Illinois Quad City Chamber of Commerce, Girl Scouts of the Mississippi Valley, Inc., Trinity Regional Health System, Trinity Medical Center and Community Foundation of the Great River Bend. She also served on the Deere & Company Credit Union board, and as a member of the board of the United Way of the Quad Cities, chairing its 2003 Quad Cities United Way Campaign. She also is past treasurer of fundraising for Playcrafters Barn Theatre, Moline. Ms. Ziegler is also involved with a number of charitable organizations headquartered in communities served by QCR Holdings, providing her with business connections and extensive knowledge of our market areas. We consider Ms. Ziegler to be a qualified candidate for service on the board and the committees she is a member of due primarily to the knowledge and experience regarding public companies she gained in her role as Vice President and Treasurer of Deere & Company. Mark C. Kilmer is President of The Republic Companies, a family-owned group of businesses founded in 1916 and headquartered in Davenport, Iowa involved in the wholesale equipment and supplies distribution of energy management, electrical, refrigeration, heating, air-conditioning and sign support systems. Prior to joining Republic in 1984, Mr. Kilmer worked in the Management Information Systems Department of Standard Oil of California (Chevron) in San Francisco. 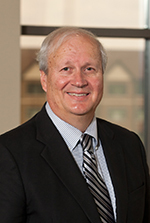 Mr. Kilmer currently is a board member of The Genesis Health System, serves on the Board of Trustees of St. Ambrose University, and also serves on the board of directors of IMARK Group, Inc., a national member-owned purchasing cooperative of electric supplies and equipment distributors. He is a two-term past chairman of the PGA TOUR John Deere Classic and the past chairman of the Scott County YMCA’s board of directors. Mr. Kilmer is the past chairman of the board of Genesis Medical Center, and has served on the board of directors of The Genesis Heart Institute, St. Luke’s Hospital, Rejuvenate Davenport, The Vera French Foundation and Trinity Lutheran Church. He was a four-time project business consultant for Junior Achievement. 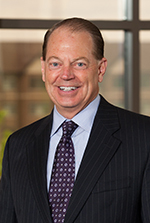 Prior to joining the board of Quad City Bank and Trust in 1996, Mr. Kilmer served on the board of Citizen’s Federal Savings Bank in Davenport, Iowa. He currently serves as the Chair of the Board of Quad City Bank and Trust, and is a member of its Loan Committee. In 2014, Mr. Kilmer was named the Outstanding Volunteer Fundraiser by Quad City Chapter of the Association of Fundraising Professionals, and along with his wife, Kathy, received the Bethany Homes Leadership Family of the Year Award. We consider Mr. Kilmer to be a qualified candidate for service on the board and the committees he is a member of due to his experience as the President of a successful wholesale and supply distribution business in Davenport, Iowa, one of our market areas, prior service on a bank board and his knowledge of the business community in this area. Mary Kay Bates is currently president and chief executive officer of Bank Midwest based in Spirit Lake, IA. She has over 30 years in the financial services industry and has been with Bank Midwest since 1995. She was appointed president in 2016 and chief executive officer in 2017. From 2014 to 2016, she held the role of executive vice president and chief operating officer. In her tenure at the bank, she has served in multiple areas including lending, marketing and human resources. Ms. Bates attended Iowa State University and graduated with honors from the Graduate School of Banking Colorado. 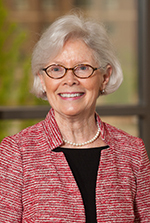 Ms. Bates currently serves on the board of directors of Bank Midwest and Goodenow Bancorporation. She is a Trustee of the Graduate School of Banking at Colorado and an active member of the Iowa Bankers Association, serving on the legislative committee and as a Regional Vice-Chair. She is a Trustee of Lakes Regional Healthcare and a board director of Lakes Regional Healthcare Foundation. Ms. Bates is also recognized as an active community leader and volunteer, having served as director and officer on multiple boards to enrich quality of life and economic development within her community. Michael L. Peterson is owner and President of Peterson Genetics, Inc., based in Cedar Falls, Iowa, providing soybean genetics to seed companies for over 25 years. Mr. Peterson is a graduate of Iowa State University with a B.S. in Agricultural Business. He is a past President of the Iowa Seed Association, past Chair of the Soybean Division of the American Seed Trade Association and past Chairman of the American Seed Trade Association. Mr. Peterson is also the past Chairman of Community National Bank (which was acquired by QCR Holdings, Inc. in 2013). We consider Mr. Peterson to be a qualified candidate for service on the board due to his experience in the banking industry and his business connections in and extensive knowledge of our market areas. Patrick S. Baird is the retired President and Chief Executive Officer of AEGON USA, LLC, the U.S. subsidiary of the AEGON Insurance Group, a leading multinational insurance organization. He continues to serve the company with certain projects and is currently assisting the company with its expansion activities in Latin America. Mr. Baird joined the AEGON USA companies in 1976, and during his career also served as Executive Vice President and Chief Operating Officer, Chief Financial Officer and Chief Tax Officer. He is a graduate of the University of Iowa, and is a Certified Public Accountant (inactive). Mr. Baird is a Commissioner for the Eastern Iowa Airport and is a founding board member and Treasurer of the Zach Johnson Foundation. He is also a director of Lombard International, a specialty life insurance company based in Philadelphia, Pennsylvania. Since its formation in 2001, Mr. Baird has been a director of Cedar Rapids Bank & Trust where he currently serves as Chair of its Loan Committee. We consider Mr. Baird to be a qualified candidate for service on the board and on the committees he is a member of due to his experience as the President and Chief Executive Officer of a successful insurance company in Cedar Rapids, Iowa, one of our market areas, his knowledge of the business community in this area and his broad based financial acumen.